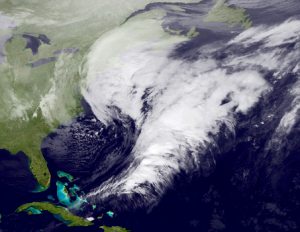 BlogHome » How Do I Prepare for a Nor’easter Storm? How Do I Prepare for a Nor’easter Storm? When the East Coast is ransacked with high windstorms, the event is called a nor’easter. Given the name, it’s apparent that nor’easters impact the U.S. East Coast. 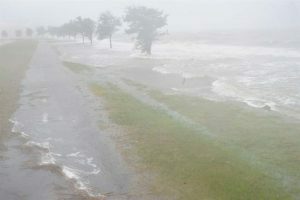 These intense weather & storm damage conditions impact coastal areas from Georgia and northward to states like New Jersey. Densely populated cities situated along the coast, like New York City, Philadelphia and Washington D.C., are especially vulnerable to nor’easters. Unsurprisingly, nor’easters also affect New England and Canadian Maritime Provinces. As long as the storms hit areas 100 miles east or west of the East Coast, they are categorized as a nor’easter. Nor’easters typically occur during the months between October and May but may happen at any time. When the storms hit during the cold months, nor’easters are known as winter storms. Nor’easters can bring heavy snow and strong winds to coastal locales. Plus, nor’easters are known to empty enough torrential rainfall onto coastal cities to cause coastal flooding. Rough seas, beach erosion and inland flooding are common during nor’easters. Nor’easters are serious natural events. These storms can impact coastal areas for several days. Residents who live on the East Coast are best off when they know how to prepare for these inevitable and adverse weather conditions. Information alerts coastal residents for foreseeable storms. Residents and business owners can stay tuned to local alerts via radio, television, cell phones and the internet. Public safety information should be given importance. The Massachusetts Alerts App can be downloaded and heeded in the event a nor’easter blows. In addition, ensure that an audible alert is made available to every family member in the event a nor’easter warning occurs in the middle of the night. Public safety alerts may recommend evacuation to residents who are located in dangerous areas. In these instances, it is vital that those who reside or work in flood zones be prepared to temporarily leave to stay with friends, family or a local evacuation shelter. Indoors is a safe haven during nor’easters. City officials suggest residents remain within the safety of their homes, where they will be protected from falling trees, branches and natural debris that are a central aspect of high windstorms. 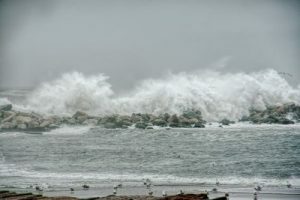 Typically, public areas, like playgrounds, parks and beaches, will close when a nor’easter is expected to strike. Those driving are at risk for injury and should stay off the roads as much as possible or drive with extreme caution if driving is an absolute necessity during a nor’easter. Experts recommend having a safe room in the home to which one can remain during the intense storm, an area that has limited windows or doors and which can access communication outlets, like television, radio and phones. Make sure this room houses an emergency kit and needed supplies, as well. Nor’easters are likely to break windows and doors. Residents should protect themselves and all occupants in the home by boarding up windows. All windows and doors must be sealed as well so that they are water tight. 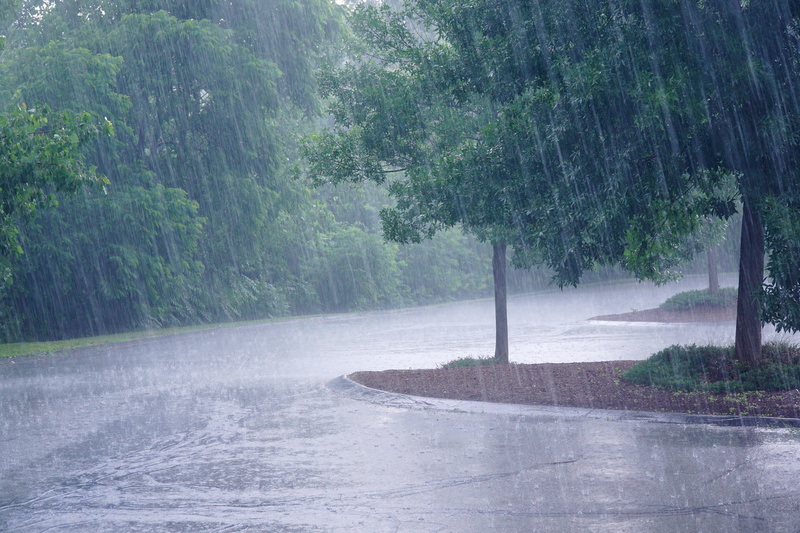 Moisture from heavy rainfalls is likely to leak inside when doors and windows are left ajar or unsealed. Along with securing the doors and windows, those who live in homes with patios should bring indoors everything left outside. Any remaining property that is left to the mercy of high winds and heavy rains can serve as a projectile force, launching into your home through windows. Protect yourself by bringing everything outside to the safety of the indoors. 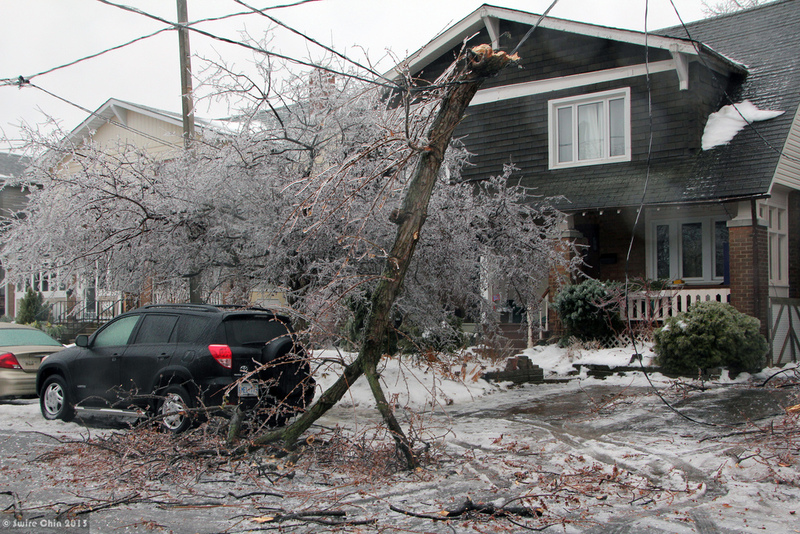 Fallen trees can rip power lines, causing power outages. The Red Cross urges people to keep stocks of working batteries and flashlights. Gas tanks should be filled well in advance. Coolers of ice in freezers are handy to keep perishable food cold and consumable. Those affected by power outages should be aware that food in refrigerators can be kept cold for up to four hours, and freezers can chill food for up to 48 hours. Threats of possible outages should also prompt people to take money out of their ATMs. Before a nor’easter strikes, create a family emergency plan that all family members understand and can adhere to with a moment’s notice. First, establish a meeting location, one close to home and another further away in case evacuation of the area is urged. Second, establish an out-of-state contact. It is far easier to contact someone who is unaffected by broken power lines or outages. Every family member should have the contact’s name, address and phone number. Register with the Red Cross’ Safe and Well service to alert loved ones that you are safe after the storm. Also, be aware of the emergency plans at your workplace, children’s school or other places your family frequents. When a nor’easter strikes, you’ll want to have a predetermined mode of transportation to evacuate the area. Practice how you and loved ones will leave the area when evacuation is necessary. If no means of reliable transport are available, develop prior arrangements with neighbors, family, friends or local governments. The destructive consequences of nor’easter storms are quickly handled by a professional restoration service, like ServiceMaster Restoration by Complete. Our skilled specialists work to restore a home or business to its pre-disaster state. Our storm damage services include tarping or board-up to stabilize the property, repair of exterior damage to the home or business, and the removal of dangerous materials like glass shards. Broken tree branches and other natural debris are also removed to secure the property. The flood damage services that we provide include complete flood water extraction, disinfection to thwart mold growth and bacterial formations, and carpet or upholstery cleaning. A nor’easter’s effects can damage family homes and destroy business properties. In the aftermath of a nor’easter, contact the most trusted name in flood and storm damage restoration, ServiceMaster Restoration by Complete, serving the Brooklyn and Staten Island communities as well as the Somerset towns and Middlesex Counties of New Jersey. 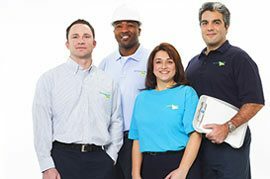 Contact our skilled restoration technicians at ServiceMaster Restoration by Complete 24 hours a day to respond to emergencies.